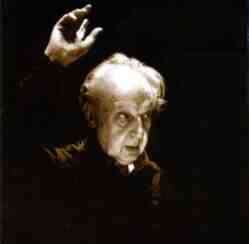 This site is dedicated to the great conductor Leopold Stokowski (1882-1977). My aim is to provide information for collectors and other interested people about Stokowski and his work. Mainly, I want to give an overview of his legacy. As well, I would like to make it easier for collectors to get in touch with each other. Therefore, you are invited to introduce yourself in the Guestbook. Your help is always appreciated. For any additions, corrections or questions, please don't hesitate to E-mail me. Jack Baumgarten, Patrick Baumgartner, Frank Brugman, Theo van der Burg, Bob Carlson, Dennis Davis, Gerald E. Deitch, Cesar A. Dillon, Frederick P. Fellers, S.T. Fine, Eugene A. Gladstone, Mike Gray, Mike Harkin, Rick Heilberg, Dave Hermann, Paul Hoeffler, Domenica Jensen, Edward Johnson, John F. Kelly, Tracy Killeen, Patrick Kittel, Masayuki Koshio, Paul Kowalchuk, Masato Kubota, Wolfgang Kuhn, John Lambert, Karin Lenman, Dominique-Ren� de Lerma, David N. Lewis, Larry Matheson, Erin Mayhood, Mark Mcalinden, Barbara Meyer, Adam Michlin, Clinton F. Nieweg, John Nightingale, Mark Obert-Thorn, Preben Opperby, Ray Osnato, Ian Partridge, Axel Rienitz, Warwick Round, Tom Rudd, Meredith Rung Creswell, Jonathan Scharf, Albert Schlachtmeyer, Hans Schlager, Eric Schuman, Angelo Scottini, Charles Sharpless, Marco Shirodkar, Julian Stern, Max Tr�bosc, Hans Weijters.